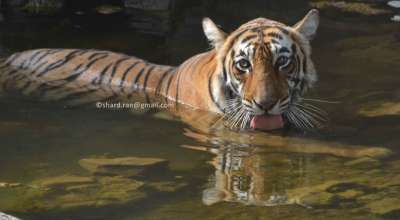 An Icon of Ranthambhore Tiger Reserve-”T-19 or Krishna”. A daughter of T-16, Ranthambhore Pride. Her family is known as ICONIC Family! A well known tigress of Ranthambhore tiger fraternity-T-39. A daughter of T-13 mother, Old-Sultanpur-Female and father, T-12. It is a symbolic tiger. We use this symbolic tiger, when we see tiger but we can't identify so well. A quite young tigress, age about four years old- T-61. A daughter of T-8, mother, Ladali and father, T-34, Kumbha. An adult and aggressive tiger-T-34, Kumbha. 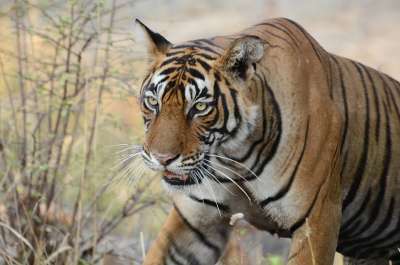 A sub adult tigress, age about 2 years and 7 months old – T-84. A daughter of T-19, mother, Krishna and father, T-28, Star Male. The most dominant tiger of entire Ranthambhore Tiger Reserve - T-28. A son of T-27-Gilai Sagar mother. 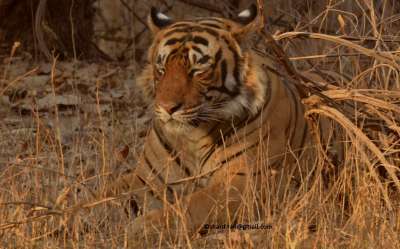 Machhali, the royal tigress is the pride of Ranthambhore Tiger Reserve. She is the oldest surviving tigress of Ranthambore & probably in the world. A beautiful and mature tigress- T-41. A daughter of T-4, Berada mother. A quite shy and resident tigress- T-8. A daughter of T-5, Kchida mother and father, T-2. An aggressive and fierce tiger-T42. A son of T-30, Husn-Ara mother . 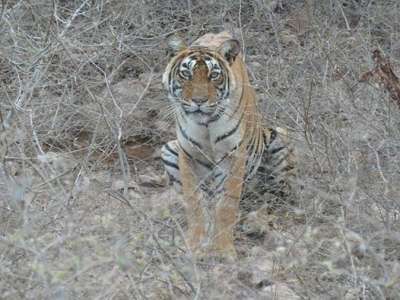 A sub adult tigress, age about 2 years and 7 months old – T-83. A daughter of T-19, mother, Krishna and father, T-28, Star Male. Last Sighted 2019-01-30 at Zone Ranthambhore Rd. A sub adult tiger, age about 2 years and 7 months old – T-85. A son of T-19, mother, Krishna and father, T-28, Star Male. A quite shy and sub adult tiger- T-74. 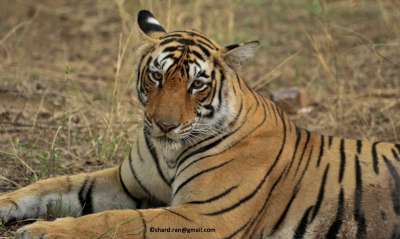 An elder son of T-17, Ranthambhore Queen, mother and father T-25, Dollar. 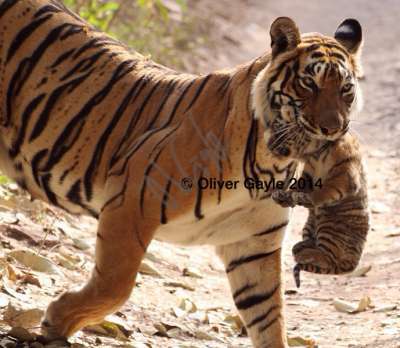 A queen of Ranthambhore Tiger Reserve after her mother Great Machhali – T-17. A daughter of T-16, Ranthambhore Pride. She was one of the three sisters from Machhali’s 5th and last litter (T-17, T-18, and T-19). A quite young and bold adult tiger- T-64. An elder son of T-19. 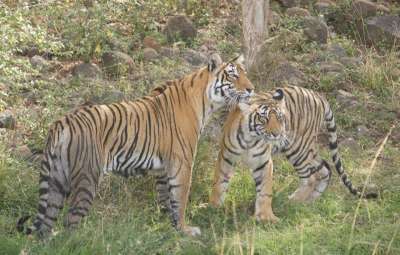 Ranthambhore Queen (mother) and father T-28, Star male. A quite shy and sub adult tigress- T73. 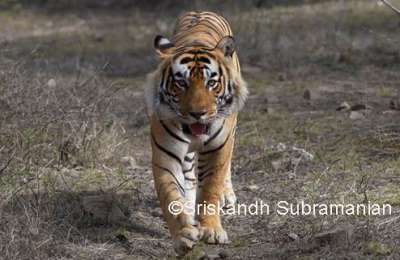 The daughter of T17, Ranthambhore Queen (mother) and father T25, Dollar. 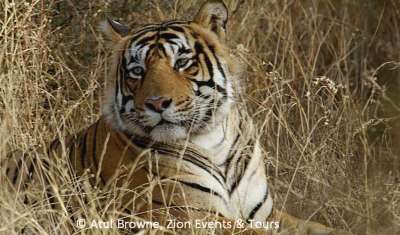 A quite young and bold adult tiger of zone no. 7 and 8, . He has made his territory from Jamoda, to Maha-Khoh. he is also reported in Kundal area.